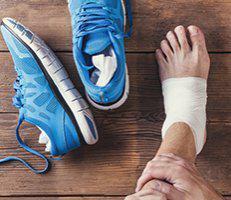 There are many foot and ankle conditions that affect functionality, particularly issues with your bones, muscles, and the connective tissues. In the broad spectrum of potential problems that can arise in your feet and ankles, remember that your toenails and skin could also develop issues. In spite of the fact that nails and skin are on the surface and can be easily visible, these issues are not all superficial in nature. At our Foot and Ankle Wellness Clinic offices in Los Angeles and Glendale, CA, we offer effective care for a variety of common nail and skin conditions to not only help your feet look great, but also to relieve pain or concerning symptoms. Toenails might have offered greater benefit for our ancestors than they do now in a world where feet are often sufficiently protected with footwear, but this doesn’t change the fact that they still play a role in our health. In some cases, a nail issue can be painful or cause severe discomfort. At other times, they are the source of embarrassment or self-consciousness. Either way, Foot and Wellness is your clinic for first-class toenail treatment. Ingrown toenails. This is a rather common issue that develops either when toes are jammed together in the front of shoes that are too tight and narrow, or nails are trimmed in an improper manner. They can also happen on account of physical trauma or even an inherited nail structure. The main symptoms are pain, tenderness, redness, and swelling along the edge of a nail. Black toenails. In most cases, a black toenail is simply a matter of subungual hematoma, which is blood pooling between the nail and its bed. However, discolored nails should always be checked out. One of the possible causes of a black toenail is malignant melanoma. This is very rare, but also very serious and should be addressed at the earliest stage possible. Toenail fungus. Fungal nails are embarrassing and can potentially pose a tremendous risk to diabetic individuals. When you observe nails that are discolored, brittle, and ragged, you may have a fungal infection and will require treatment (since the condition will not go away on its own). Our offices provide the toenail fungus care you need. Being the surface layer of the body, skin plays an essential role in protecting us from external threats. It also helps us recognize when an issue is present. Discoloration, abnormal sensations (itching, burning), and unusual warmth or coldness are all indications that a problem exists. Athlete’s foot. This common infection is not, in spite of the name, one that only athletes develop. On the contrary, anyone who visits damp, humid environments (gym showers, locker rooms, pool decks, etc.) or wears footwear that traps in moisture could be at risk. The infection is marked by an itching, burning sensation, but is often treated successfully with over-the-counter antifungal products. Plantar warts. Warts are rather commonplace, but their origins can be a mystery to some. They are the result of a viral infection from the human papillomavirus (HPV). The viral growths are not dangerous, but can cause physical discomfort and embarrassment. Also, they can be contagious and are best treated by professionals here at Foot and Wellness Clinic. Dry skin. Skin that is damp or moist can increase the likelihood of fungal or bacterial infections, but excessive dryness is also an issue. Cracks and fissures from overly dry skin can allow microorganisms to enter the body and cause problems. If you have developed any condition that is affecting the health of your toenails or the skin on your feet, Foot and Ankle Wellness Clinic is ready to help. Our CA offices provide exceptional foot care services for clients from across the greater Los Angeles and Glendale communities. You can reach us by calling (323) 937-6903 for our LA office or (818) 240-7673 to connect with our Glendale office.